For a growing pet sitting company - managing customer requests can be taxing. Some clients call, some text, some email and some leave you a sticky note on the counter. Time To Pet organizes all service requests and gives your customers simple tools to request exactly what they need. When making service order requests via the App or the Client Portal, your customer has two options. First is the single request. This allows your client to very quickly and easily request one visit at a time. Just need a walk next week? This is the perfect option! Clients can request the date, service, schedule block, which pets are included and add any notes you may need! If your client is going out of town or needs to request several visits - they can use the multiple visits tool! 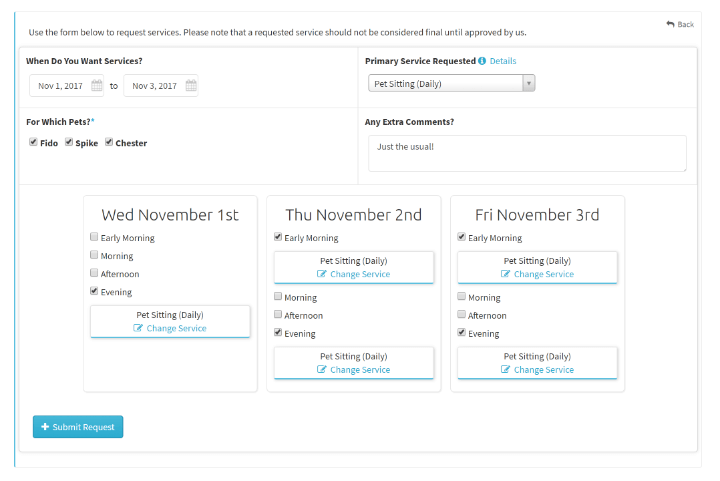 When making a request for multiple visits, your customer can select the date range they need and their primary service. They can then select their pets, add some notes and choose which schedule blocks they need during their date range. They can also switch out some of the visits for a different type of service! Having accurate and complete information from your clients is essential for pet sitters and dog walkers. You need to know pet information, their address, emergency contact information and much more. 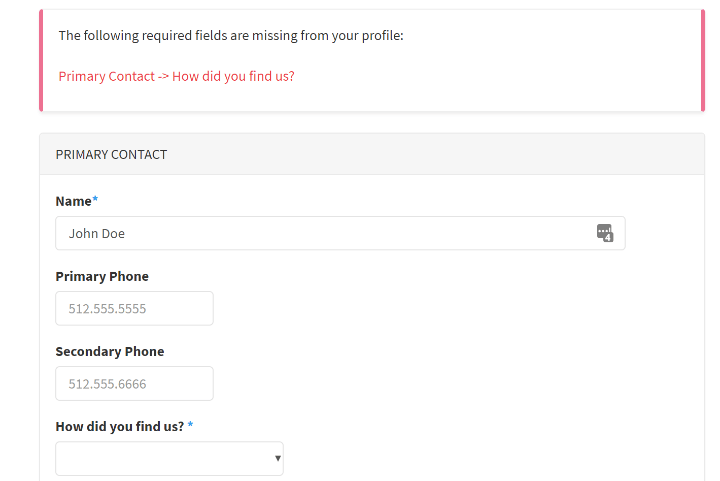 In Time To Pet - you can set these fields as required which means your customer needs to complete them before they are able to request services. Sometimes things change and your customer needs to make adjustments to their scheduled visits. Time To Pet makes this simple by allowing your client to submit a cancellation or change request. 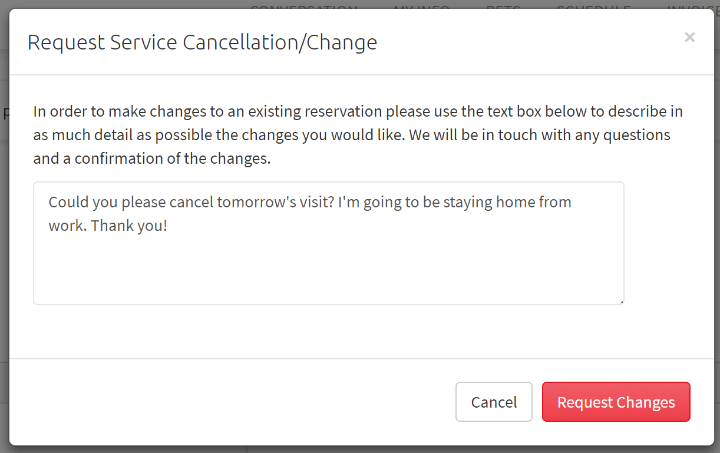 You always get to review the cancellation request before processing to ensure only the correct visits get adjusted.